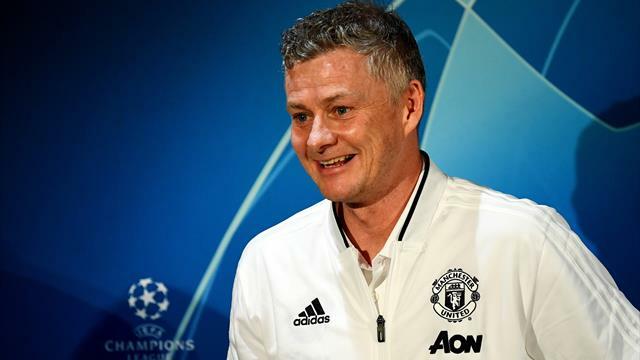 If all Ole Gunnar Solskjaer had to do in order to be a success as Manchester United manager is not be Jose Mourinho, he is not being Jose Mourinho more successfully than we could possibly have imagined. When the Champions League draw was made back in November, when Mourinho and his black cloud was hanging over the club, this one looked like a nailed on certainty for PSG. Indeed, you were half concerned for United that things would get really ugly, that they would be blown away by a side featuring Mbappe, Di Maria, Neymar and Cavani. However, the latter two of those names will be missing, and Ole’s miracle working has continued at pace, meaning Manchester United are probably favourites now. Quite the turnaround. Thomas Tuchel seems to think Solskjaer has snapped on the rubber gloves and given United a good solid probing. But also become a medical man in his search to rediscover the soul of Manchester United. "There is an effect [from Solskjaer]. We have a saying in Germany that if you go to the doctor and he heals you, he’s right. If pain goes away, he’s right. He wins a lot of games so it’s very impressive. He was a super dangerous player and he is now winning games as manager.”"
So who’s your money on? The Warm-Up is going with United. Lump your life savings on it. It’s the worst kept secret in football, but on Monday Aaron Ramsey confirmed that he had signed a pre-contract with Juventus, for whom he’ll sign in the summer, and by all accounts for a whole great chunk of change too. There seems to be some debate about exactly how much he will be paid, but what’s undoubtedly true is that Ramsey a) has done rather well out of this and b) has some sort of wizard for an agent. The Welshman is undoubtedly a fine player, but one worth paying, if the BBC’s figures are correct, £83.2million over four years? Not likely. Most Arsenal fans seem rather upset by the whole business, partly because he’s a good player to whom they have a sentimental attachment, but partly you’d imagine because the whole scenario is a symbol of how things at Arsenal have been so badly run in the last year or so. The new regime of holistic thinking and so forth was supposed to have made things make more sense, but they have lost an important player for nothing and are paying Mesut Ozil Ramseyesque money to sit on their bench. It isn’t, to say the least, ideal. While the blokes who essentially forced his retirement from international football get relatively shiny managerial jobs at Rangers and Derby, Paul Scholes has eschewed the path of Steven Gerrard and Frank Lampard to take his first steps into management with his old club, Oldham. It could be a spicy one for Scholes, too. This is a club that has been in various states of disarray for some time, and a little birdie tells the Warm-Up that things have become so chaotic at Boundary Park that a mix-up over the gas bill has led to their meter being confiscated and a wait of two weeks before a new one arrives can be expected, meaning no hot water there for a little while. Still, good on him for giving this a crack, anyway. We really do hope it turns out OK for the old boy. We just fear that this might be a pretty brief foray into the world of managing for Scholes. "It was trailed as a high-end highlight of Tottenham’s magnificent new stadium and, in many respects, came to be an emblem of the extravagance of the £1bn build. But, in a stomach-churning twist, the Guardian can reveal that the much talked about VIP cheese room will not be happening"
All this bloody time they’ve been waiting and Tottenham fans won’t be able to purchase a cheeky epoisse when they eventually get into their new stadium? This simply will not stand. There isn’t enough naked trolling in football, so when after Manchester City gave Chelsea a firm shanking on Sunday, the Madness song ‘One Step Beyond’ was played over the public address system, we were all for it. If you didn’t know, the song is a Chelsea anthem and is played at Stamford Bridge when they win a game, so for City to play it can obviously be filed under ‘cheeky’. City very sadly apologised for it, but we say no – do not apologise for this very funny deployment of late 1970s ska. It. Is. Not. About. You. "My friends in Kennington always ask me: ‘Can I have a shirt for my little brother or my cousin?’ And I always send them shirts,” says Jadon Sancho. “I will never forget where I have come from because I know what it is like growing up in that area … it is not nice. Especially when you have people around you doing bad things.”"
Jadon Sancho talks to Ed Aarons of the Guardian about south London and life as the hottest young player in European football. It’s a very happy birthday to Bryan Roy. Here are the goals he scored for Nottingham Forest in the Premier League. If United v PSG doesn’t tickle your pickle, you could watch Roma v Porto, or one of the five Championship games on tonight. West Brom v Forest is probably the pick of those. Get on it.